Scott Spencer receives critical acclaim for his provocative, literate works like Men In Black, which was a New York Times Notable Book of the Year. 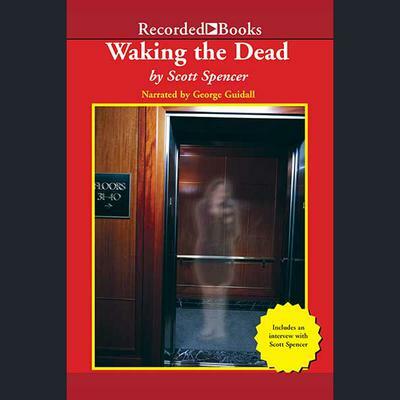 Spencer's cinematic eye for detail and his powerful language are fully evident in Waking the Dead, where he weaves a tantalizing story of desire, morality, and truth. Fielding Pierce is a rising young Chicago attorney who has been offered a seat in Congress. But even in the midst of the demanding campaign, Pierce still mourns the loss of his love, Sarah. Five years ago, in an attempt to provide sanctuary for refugees, she was apparently killed by a car bomb. As Pierce becomes immersed in the world of politics, he begins to suspect that Sarah is still alive. Soon, his obsession drives Pierce to question all he sees and hears. Capturing Pierce's growing anxiety and passion, narrator George Guidall's voice is the perfect match for this talented writer.